In one of the most dramatic transformations in the history of the modern tax code, President Donald Trump signed the “Tax Cuts and Jobs Act” into law on December 22, 2017. Both simple in concept and yet extremely complex in execution, the law has been designed to encourage investment and economic growth in the U.S. Becoming familiar with the law and its provisions as they impact both business and individual tax strategies is essential for small business owners. There are two very distinct business entity models in today’s business environment. Businesses that pay corporate taxes on their own earnings are commonly organized as “C” corporations, while businesses that pass their earnings through to their owners, shareholders or members (i.e. “pass-through entities”) are generally organized as “S” corporations, as partnerships, or registered at the state level as LLCs. It is important to note that sole proprietorships are also treated as pass-through entities by the IRS. A solid understanding of this separation allows us to evaluate the law’s impact on businesses. The changes to the tax code are not the same for these two kinds of entity formats — a point which is particularly true for pass-through entities and their owners. Traditionally, entrepreneurs have been drawn to “S” corporations and partnerships specifically because they defeated the “double taxation” problem which can impede shareholders in a “C” corporation. However, the primary driving force behind the Tax Cuts and Jobs Act was an (initially narrow-minded) overwhelming commitment by the Republican congress to reduce the corporate tax rate that impacts “C” corporations. The Tax Cuts and Jobs Act created Section 199A, a new provision in the IRS code, to address this issue and ensure that pass-through entities also obtain meaningful benefits. In short, Section 199A will enable the owners of sole proprietorships, “S” corporations and partnerships to take a deduction of 20% against their personal taxable income. This provision effectively reduces the top rate on these business income types from 40.8% under prior law to 29.6% under the new law, based upon the deduction of 20% multiplied by the new top rate of 37%. However, Section 199A is not simple, and it contains many points of concern and confusion for small business owners. Section 199A makes it abundantly clear that the deduction is available to all taxpayers other than a corporation. This becomes increasingly complex if you are addressing multiple entities (where one entity has an interest in another entity), if rental property is involved, or in the case of certain trusts and estates. – taxable income less net capital gain. Qualified Business Income is defined in Section 199A as the “ordinary” income – less ordinary deductions – that one earns from a sole-proprietorship, S corporation, or partnership. Wages one earns as an employee are not included in QBI. A business could have two people in the exact same role with one as an independent contractor and one as an employee, but with the self-employment income of the former being considered QBI (and thus eligible for a 20% deduction). The wages earned by the latter would not be eligible for the 20% deduction. Investment income such as short-term capital gains or losses, long-term capital gains or losses, dividend income, or interest income are not defined as QBI either. Where an individual is a shareholder or a partner in a flow-through entity, it is important to note that QBI also does not include any wages or guaranteed payments received from the entity. In other words, an owner of an “S” corporation who receives both wages and profits would only be able to count the value of the profits toward the QBI, and not the value of the wages. Of course, it is essential not to try and ‘game’ this distinction by avoiding wage payments to oneself as the owner of an active pass-through business, as the IRS requires that “reasonable compensation” be paid and reported as wages by the owner(s) where applicable. One major area of concern and confusion is the law’s specification that the QBI must be earned in a “qualified trade or business.” The intention behind this phrasing is unclear, however one conservative interpretation suggests that this means a trade or business must be “regular, continuous and substantial” (this is referenced in Section 162 of the IRS code). This has the potential to have a major impact on whether income from rental property and other real estate-related income is included or excluded from the QBI. This is not the only policy distinction that is critical to note. The 20% of QBI deduction is not applicable to those engaged in a “specified service trade or business”, which includes “any trade or business involving the performance of services in the fields of health, law, engineering, architecture, accounting, actuarial science, performing arts, consulting, athletics, financial services, brokerage services, or any trade or business where the principal asset of such trade or business is the reputation or skill of one or more of its employees,” although architects and engineers are exempted from this restriction under a different rule in the section. These constraints are intended to prevent a wholesale defection of high-income professionals from paid employment into the formation of their own pass-through entities as a form of tax avoidance. Determining the “allocable share” can be challenging. For a shareholder in an “S” corporation, the IRS code provides specific instructions. Section 1366 and Section 1377 require that all items of an “S” corporation be allocated pro-rata, on a per-share/per-day basis. However, for partnerships, the determination can become complicated by special allocation allowances and other variations associated with the allocation process. Nonetheless, these limitations can severely limit the benefits that accrue to a small business owner. For instance, the owner of a small LLC who earns $500,000 in total income from the business in a year, where only $10,000 is paid as wages and there is no property, would reach the limit and the 20% deduction would be limited to 50% of wages or $5,000. 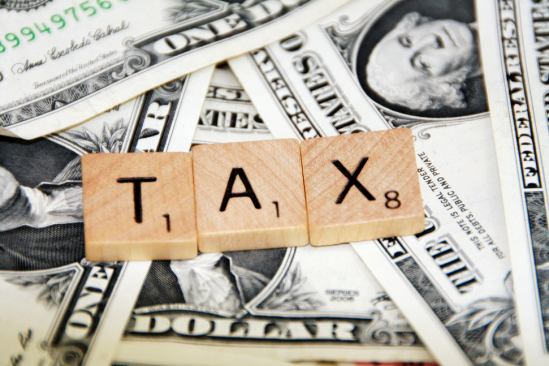 However, the law also provides that the two W-2-based limitations can be ignored by a taxpayer completely if the taxpayer’s total taxable income (not QBI or adjusted gross income) is less than the “threshold amount” for that tax year. The “threshold amounts” for 2018 are $315,000 if the taxpayer is married, and $157,500 for all other taxpayers. In addition, to address the challenge of achieving a sudden crossover point, taxpayers will be allowed to “phase in” the W-2 limitations over the next $100,000 of taxable income above the threshold point (if the taxpayer is married filing jointly, or $50,000 for everyone else). Significantly, even individuals engaged in a “specified service trade or business” can claim the 20% of QBI deduction, provided that the taxpayer’s taxable income is less than $315,000 (if the taxpayer is married filing jointly, and $157,500 for all other taxpayers), and a different phase-in process is applied until the taxpayer’s taxable income reaches $415,000. One important question will be whether business owners consider migrating from “S” corporations to LLCs without “S” election or to partnerships, since reasonable compensation is not included when calculating QBI. This is due to the fact that “S” corporations are required to pay wages to any shareholder who is also an officer and provides “significant services” to the corporation, under the “reasonable compensation” standard, specifically to ensure that “S” corporation shareholders avoid using distributions as a means of avoiding payroll taxes. In contrast, partnerships cannot pay wages to their partners (only guaranteed payments), and there is no “reasonable compensation” standard for partnerships, because partnership income is usually subject to self-employment tax. In contrast to partnerships and sole proprietorships, however, “S” corporations allow for savings on self-employment taxes. As a result, business owners will have to carefully weigh the balance between the potential benefits of either approach, and every situation will require careful consideration and analysis on a case-by-case basis. The highlights shared in this article are just a summary of key points in the law, and the impact of Section 199A will be complex and wide-ranging. In the third article of this series, we will address specific provisions of the law that impact individual taxpayers. Remember that the Tax Cuts and Jobs Act itself is 1,097 pages in length, containing numerous provisions and adjustments that could impact your small business, and you as a small business owner. Now is the time to meet with your CPA or tax preparer proactively to review the impact of the new tax code in detail, so you are prepared to adjust and update your tax strategy accordingly. Image Credit: 401(K) 2012 (Flickr @ Creative Commons) and 401kcalculator.org.